October was the worst month ever. Kurtis had been unemployed for a year and things were looking bad. We were wondering how we were going to pay our rent- and whether or not we should just give up and move back in with our parents. Then things seemed to get even worse, a potential client wrote Kurtis a fraudulent check which sent our fragile fiances into the toilet. It took weeks to get access to our bank account and we were trying to live and pay all of out bills with $200.00. Little did I know that during our deepest and darkest time a prayer had been answered. I was pregnant- something that I thought that I would never be, with our sweet Rory girl. In times of extreme stress I have been known to skip a period. So when the beginning of November came around and my period didn't I didn't think anything of it. In fact I jokingly said to Kurtis one night "There's no way in Hell I could actually be pregnant right?" and he responded "Well there's a 2% chance." We laughed it off. By November 11, I was starting to get a little worried. I had finally pulled out a calendar and figured out that I was close to 3 weeks late. 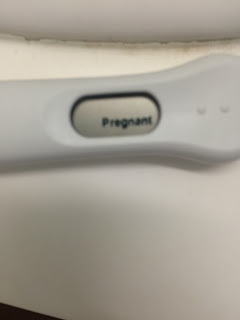 A small part of me said "well maybe you should take a test just to rule it out..." That night I anxiously drove to a Target and kept reminding myself while I was buying the test to not get my hopes up. After all Kurtis and I had decided that we were not in any rush. We knew we would have to do IVF, we were going to figure out life, go to Hawaii and then try to have a baby again. At that moment I didn't feel that rush of joy that I thought that I would. I felt fear, and then excitement. How could this be? This wasn't supposed to happen for us. How would I tell my husband, how would he react. I took the dog outside for a quick walk and after a half a block threw up into the bushes. I had an hour or so before Kurtis got home and I had no idea how I was going to break this news to him. It was way to late to do anything cute and sweet and there was no way I could keep this secret from him. I waited until he got home and walked out into the living room. I gave him a hug like I always do after a long day of not seeing him. I looked up at him and said the words that I had been waiting to say for six years. " 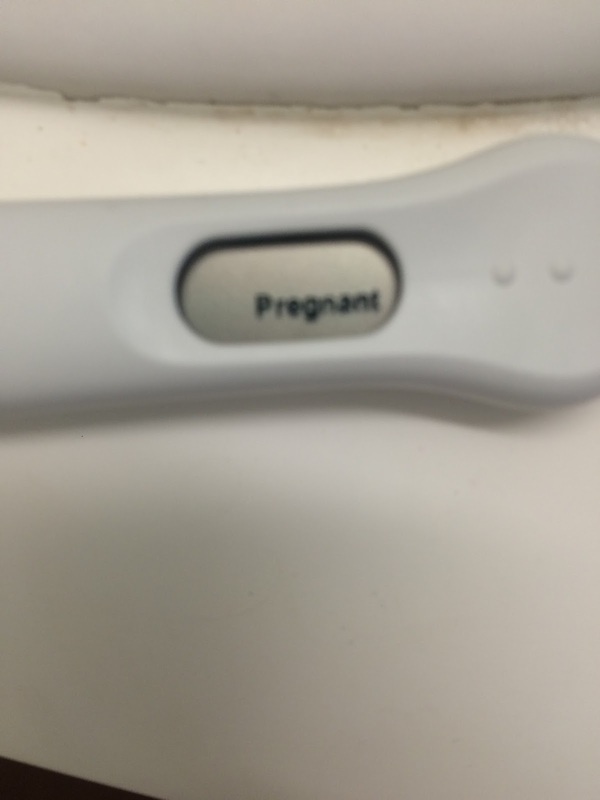 Well it looks like I'm pregnant." He didn't seem surprised-he didn't seem shocked. He looked me right in the eye and said "yeah I know, and it's a girl." He knew? How did he know? I got him to tell me later that he had been suspicious for a few weeks. And on further conversations we both have come to understand that it was the Spirit telling him, preparing him. My sweet husband knew - He knew that I was pregnant with this long wished for child- This sweet baby would be a girl and her name was Aurora. In the last few days since we have lost our girl- our sweet angel Aurora Madeline. Many people have asked us if we chose her name after we learned that we had lost her. But the truth was her name has always been Aurora. 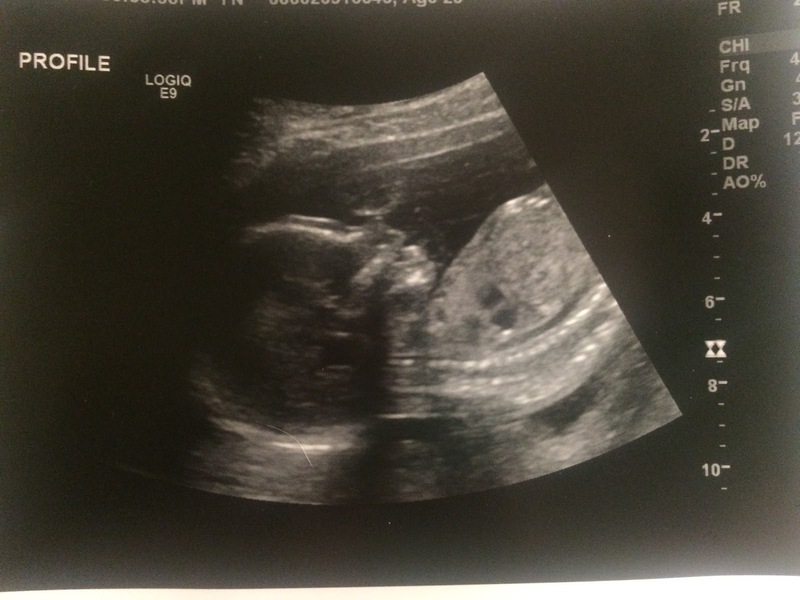 Since the moment that it was confirmed to us that she was indeed a girl her name has been Aurora, or Rory. Aurora means dawn. And in the tale of Sleeping Beauty the good King and Queen longed for a child more then anything. And when she was born she filled her parents lives with sunshine. Our sweet girl-our long wished for child would fill our lives with sunshine too. Plus we could call her Rory which would make my Gilmore Girls loving soul happy. Now that our sweet girl is gone from us I am remembering the other part of the tale. That the King and Queen were forced to be apart from their precious Aurora, until she was returned to them. While this parting- this heartbreaking parting for us will not end with our girl being returned to us on her 16th birthday. Our own little Sleeping Beauty will be returned to us one day. I know God lives, I know that he loves my little family. I know that my sweet girl was called home to be with Him. But most importantly, I know that I will have her again. I know one day we will run to her and feel the sweet embrace that we have longed for all of these years. I know that she looks down on us and misses us too. I am so grateful to be her Mom and Kurtis is grateful to be her Dad. We love our sweet girl more then anything in this world- and cannot wait for the day when we will have her again.